The Saskatchewan SPCA has received funding under the provincial Community Initiatives Fund to begin work on a new Animal Safekeeping Program. Through discussion, training, and collaboration, the program aims to build partnerships between animal and human service providers, with the goal of helping to protect both humans and animals from violence. There is a growing understanding of the interrelationship between domestic violence, animal abuse, child abuse, and elder abuse. 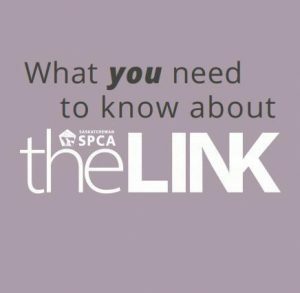 This interrelationship is often referred to as “The Link.” According to Phil Arkow, Coordinator of the National Link Coalition, “when animals are abused, people are at risk. When people are abused, animals are at risk” (Arkow, 2013). Is the concern for the safety of companion animals and livestock a barrier to individuals leaving situations of interpersonal violence and abuse in Saskatchewan? Are there existing networks and supports in Saskatchewan that provide safekeeping of animals for individuals leaving situations of interpersonal violence and abuse? Participants in the study included both human service agencies and animal welfare organizations in Saskatchewan. 92% of human service workers taking part in the study agreed that the care and safekeeping of animals can impact planning and decision making for individuals leaving abusive relationships. 77.55% of respondents from the human services sector indicated awareness of someone who did not leave an abusive relationship due to concern for the care and safekeeping of animals. 65% of human service agencies had received requests to help with the temporary safekeeping of animals. Survey participants noted the many challenges faced by women who own pets or livestock when leaving situations of interpersonal violence. The study revealed that animals can be used to threaten, intimidate, and silence the victims of abuse in situations involving family violence. Animals may suffer directly from neglect or other forms of cruelty. In addition animals can be used as a tool for the abuser to control and punish the victim. Threats of violence towards a cherished pet could prevent victims from leaving or coerce them into returning to the home. Victims may also be forced to remain silent with threats to harm the animals if the violent behaviour is reported. Pets are seen as part of the family, making it hard for many victims of abuse to leave the home knowing their pet is left behind. Even in situations where the pet is being cared for in a safekeeping program, there can be a heart-breaking impact on the adults and children in the family as they are deprived of a valuable source of comfort during a time of stress and turmoil. What steps can I take to protect my animals? Try to remove the animals from the situation as soon as possible. Gather supplies that might be useful if you have to leave quickly with your pet: a carrier, a collar and leash, medications. Ask friends or trusted family members to care for your pet/pets temporarily. Some animal shelters may be able to provide temporary pet care or help arrangefor foster care. Talk with your nearest SPCA or Humane Society to see if they can assist. Report animal abuse toone of the organizations listed below or to your local RCMP or municipal police. They will investigate the situationand take appropriate action. You can make an anonymous complaint. Contact your local RCMP or municipal police.